In their extraordinary tribute to the bourgeoisie in the Communist Manifesto – and whatever else that tract may be, it is also a tribute to the bourgeoisie – Marx and Engels pointed out that the bourgeoisie had rescued a “considerable amount of the population from the idiocy of their rural life”.1 For Marx and Engels the city became the locus of all that was modern and progressive, but also alienating. These twin themes of progress and alienation still characterize our thinking on cities. 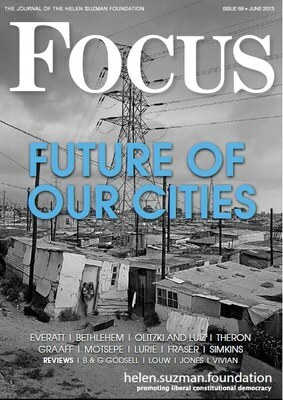 While those who have the means may opt – like Marie Antoinette in the 18th century – to have quasi rural retreats in such idyllic places as Greyton, McGregor, Polokwane or Parys, the majority of South Africans are confined to urban settings; and it is these urban settings that are the subject of this edition of Focus.